Harcourts Huon Valley are the market leaders in the Huon Valley area bringing global reach and the highest marketing standards to the local market place. Our office is open 7 days a week to be available when you are. With a list of awards as a testament for the hard work that the team put in they take pride in setting the benchmark for customer service, marketing and taking the industry to new levels. With an in house marketing and photography team, a large property managment division and some of Tasmanias highest selling salespeople your every property need is covered. Nick has been working in Real Estate in the Huon Valley for over 14 Years and has consistently been one of the top performers in the area. Nick Is known as the leading authority on all things real estate in the Huon Valley with in depth knowledge of property, planning, building, environmental, meteorology climate, and historical property use. Nick has an honest and caring manner and believes in providing relevant information to assist match the perfect purchaser for the perfect property. His care and attention to detail with property marketing aims to maximize the price achieved for his vendors by target marketing properties to find the perfect purchaser to pay the perfect price. Nicks Family has been in the Huon Valley for 6 generations, He loves meeting people, learning, exploring, showing and teaching people about the Huon Valley and enjoys continual repeat and referral business because of the way he operates. Erin has recently joined the Huon Valley team in a Receptionist/Customer Service Position. Erin brings with her a Certificate III in Business Administration. She enjoys interacting with people as well as learning new things. Her friendly and outgoing manner provides her with the ability to greet all our clients with a professional and positive approach. Outside of work Erin enjoys playing sport, particularly football, basketball and anything involving the outdoors. Erin is excited for her future with Harcourts Huon Valley and working in the Real Estate Industry. Joining the team as a Property Portfolio Manager, Jo brings high integrity and fantastic organisation skills, along with 18 years experience in the Real Estate industry. Born and raised in the Huon Valley and then branching into the Kingborough and greater Hobart regions, she fell in love with the job instantly. Her attention to detail allows her to be efficient as possible when dealing with all aspects in property management. Jo prides herself in developing strong and trusting relationships with both landlords and tenants. As a property investor herself, Jo understands her clients needs and concerns and what it takes to manage an investment property. 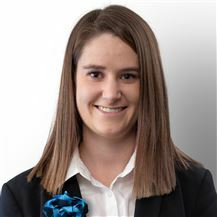 Harcourts Huon Valley are delighted to have Jo part of their property management team! 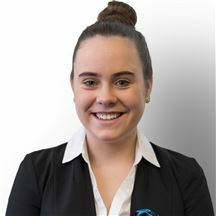 Brooke joined the fast paced and growing Harcourts Huon Valley team as our Receptionist, after completing year 12 in 2017 and working in customer service. Her happy and bubbly personality shines through both at our front counter and over phone, Brooke has extended on her skills throughout the time she has been here and is a very valued member of our team and will be for years to come. Brooke is heavily involved in the Huon Valley community and has grown up in Cygnet attending St James college, Brooke looks forward to the engagement with the community through Harcourts extensive local sponsorship and events, As a successful netball player with the Kingston Blues. Brooke also takes keen interest in many other sports and shares that energy with the team. Demi is very driven and strives to succeed in all aspects of the real estate industry. She has accumulated over 4 years of real estate experience in various roles, including Administration, Property Management and Sales. Demi’s diverse involvement in the company has given her the ability to understand real estate from various perspectives and with her determination and focus Demi brings a positive and professional experience to all her clients. Michelle is Huon Valley born & bred, and is passionate about the lifestyle our beautiful valley has to offer. Starting in the real estate industry in 1990 in an administrative position, Michelle moved into sales over thirteen years ago. Michelle has always enjoyed working with people to accomplish a sale or purchase and will work with Melanie to assist in the ease of this process for both buyers and sellers. 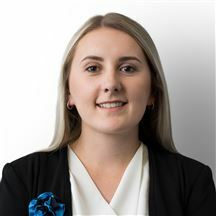 Phoebe has come from a strong customer service background and we are excited to have her as part of the Harcourts Huon Valley Team, Phoebe is here to help and assist our customers and further add to the service levels we are proud of. She enjoys interacting with people and being able to help them achieve their goals. After moving to the Huon Valley from Kangaroo Island 14 years ago Phoebe has grown to love the valley and the people in it. In her spare time she enjoys going bush walking and hiking up mountains, also going on long road trips to explore all the beautiful places Tasmania has to offer. First Home Buyer or Investor? Be Rent-free while you Build!